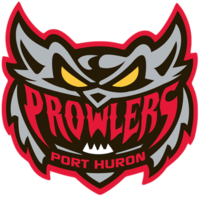 The Port Huron Prowlers lost in Mentor on Friday night 4-3 to the Ice Breakers. Jonathon Juliano, Matt Robertson, and Zach Zulkanycz scored for the Prowlers. Port Huron will host Mentor on Saturday at McMorran Arena. Face off is at 8 PM.